This is a wonderful interview and I am very taken with Ms. Noskin’s responses. I find her ideas and manner of research to be refreshing; I also admire an author willing to take rhetorical risks of faith. 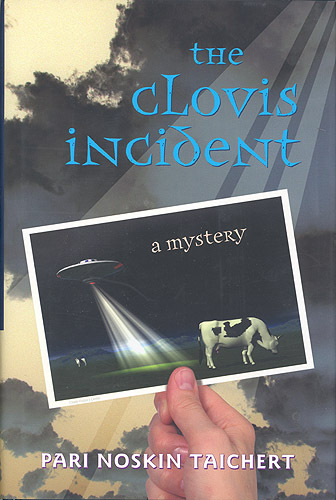 I find her The Clovis series enlightening and I would like to read her books; I believe in the premise of aliens among us and there is certainly evidence, albeit, well hidden. Thank you so very much, Amber for introducing another admirable writer. Reading this has made me even more conscious of making NM my home ( plans are slowly being made, too). Next Next post: Shape-Shifters: How Did You Think of That?